One thing is for sure, Snapchat is extremely globally engaging. Did you know that the average number of daily users is 173 million? And that, for each user, the average number of times they open the app each day over 18, and the average amount of time spent on the app each day is 30+ minutes. Have we convinced you to use Snapchat yet? Depending on if you have the right audience, your business should probably be using Snapchat. Snapchat is one of the most engaging ad formats on mobile. You can utilize Snapchat for business to reach a unique audience and grow your business through driving action and raising brand awareness. Find out the best practices and techniques below when it comes to using Snapchat. Jump on the bandwagon and find out how Snapchat can help your business! Considering that this digital era offers so much content, so frequently, you have to stand out from the competition. How is your business unique? What do you have to offer that no one else does? Is there something that will make consumers continue to watch and engage with your Snapchat? Once you have that idea locked down, you can become an active user on Snapchat and begin gaining a following. Some things to try are sharing a behind the scenes look at your business and your day-to-day operations. You can feature influencers within your business or have special guests who can take over your Snapchat for the day. And don’t forget to be consistent with posting regular content, so your audience stays interested and hooked. Giveaways, contests, and promotions are always an effective marketing tactic. With Snapchat’s 24-hour-lasting image and video feature, you can create fun, interactive contests for your followers. You can ask fans to post a picture or video of them doing a specific action for a chance to be featured or win a prize. You can also cross-promote your brand by encouraging followers to post a photo on their Instagram or Twitter with a specific hashtag for a chance to win. Whatever route you choose, ensure the giveaway instructions are clear, and the contest is unique and fun. Snapchat ads are a valuable way to utilize Snapchat for business. Snap Ads captivate your audience with a full-screen video that can have sound or can link to a website. Filters will appear when users are at a certain event or place using location-based metrics to drive awareness, advocacy, and action. Another great way to build brand awareness is through designing lenses that invite customers to share with their followers. 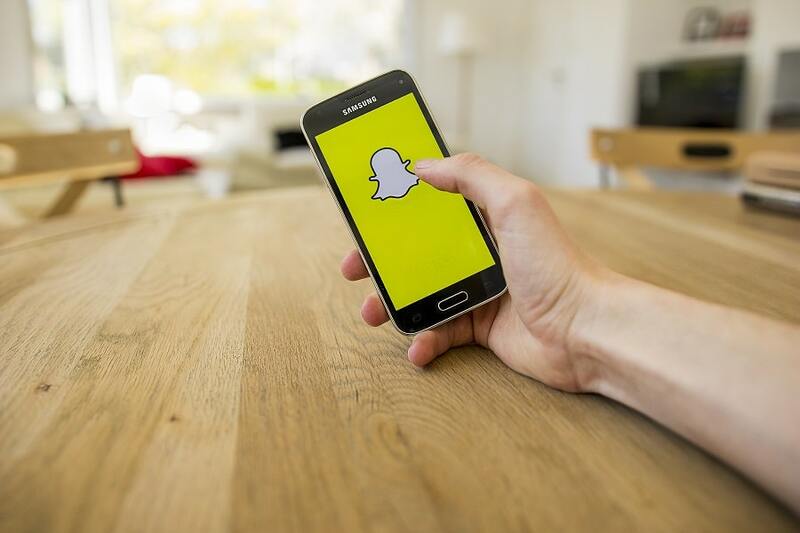 Although you have to carve out some money from your marketing budget when advertising via Snapchat, the effects are worthwhile and beneficial to your business. Snapchat offers easy, user-friendly ways to create and manage campaigns. Because of its real-time marketing, it makes this platform authentic, something your followers will appreciate. Plus, it gives followers an immersive experience that can be so much more compelling than other social media outlets. Snapchat is not for every business, but if your brand is targeting young, active users, then you might want to reference our tips on how to utilize Snapchat for business. If you’re looking to develop a fresh online presence, reach out to Front Porch Solutions. We can design a plan with your unique needs and budget in mind to ensure you get the results you’re looking for. To receive a free marketing audit, contact us today!